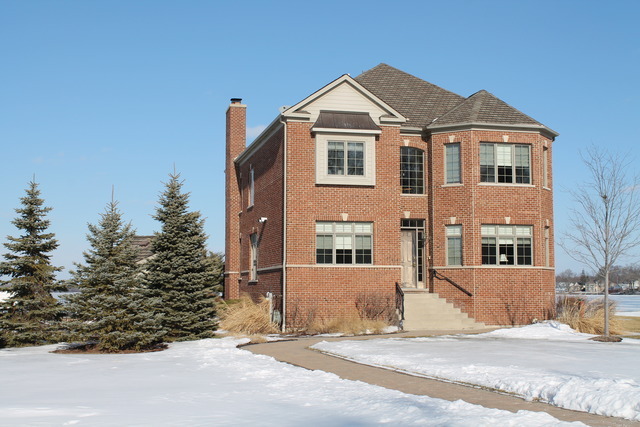 Panoramic water views are just the start with this stunning 4186 SF 3-story brick home on Fox Lake, that was just listed by Holly Blanchette of RE/MAX Showcase (Gurnee)! Multiple entertaining areas include the 1st floor living room, dining room and beautiful gourmet kitchen! The 2nd floor features a huge family room with game area and media room. Walk-up 3rd floor has kids’ bedroom/play area and 4th bath. Every level walks out to a balcony/deck overlooking the lake! This home also has a heated inground pool and includes 4 covered pier slips in private marina! Pool on separate buildable lot with extra parking and room for additional garage. Home was professionally decorated and can be sold fully furnished! So much more!